Effective use of colour ensures that the company branding is central to every page of this site. 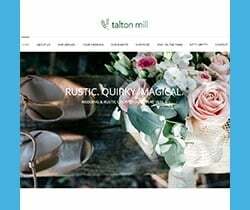 Primarily an ordering portal for wholesale clothing buyers, the site was naturally built using Magento. Regularly updated this is a highly functional website. Simple, clear and easy to navigate. evince are specialists in delivering high quality and highly search engine optimised websites. For more examples of websites like this see the evince web design & web development portfolio or contact us for more information via the contact form or call +44 (0) 1483 361 151.